3 years ago I said I would never build 2 dragsters at the same time again. Well fast forward 1068 days and here we are again. Just like going back in a time machine, we are re-living the experience. 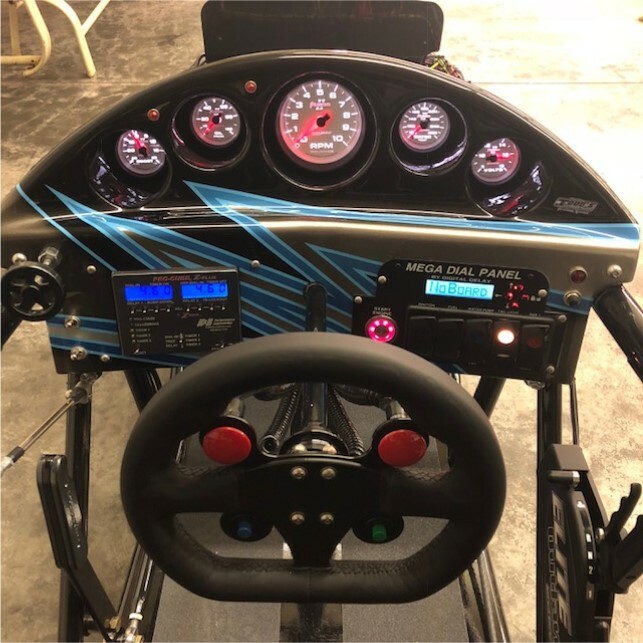 Please join me with an in-depth look at the dragsters and parts we chose in our 2018 build. 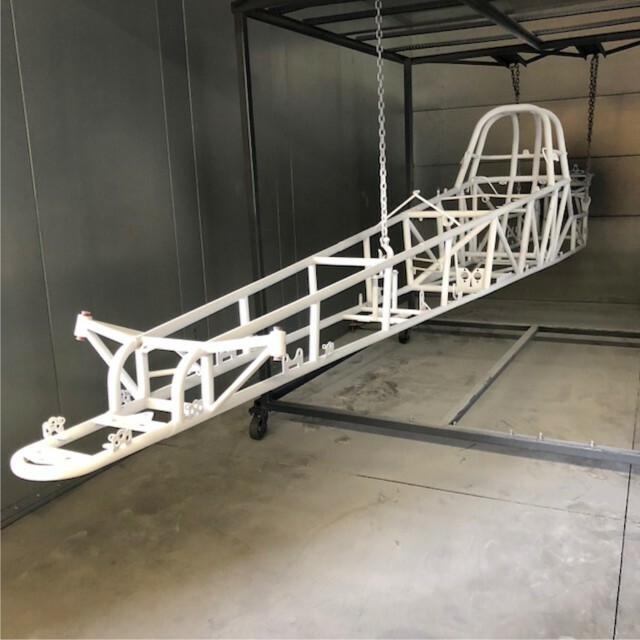 Like in 2015, we chose American Race Cars in Ohio to construct the chassis on our 2018 model dragsters. 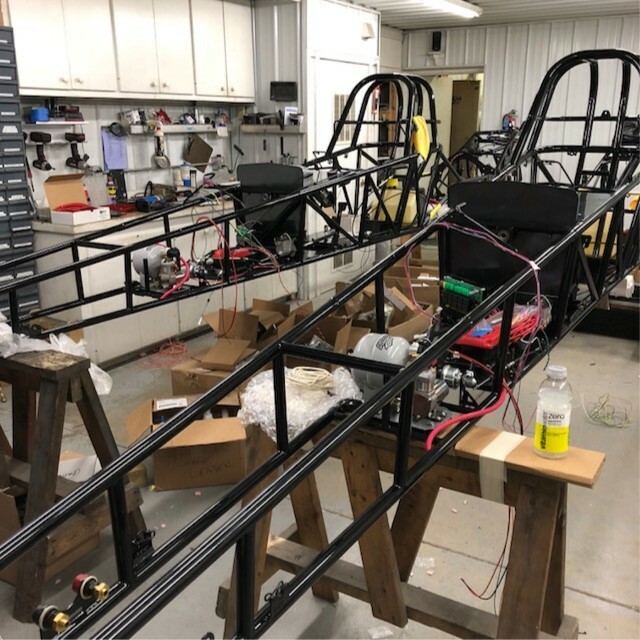 Travis Colangelo and the staff at ARC once again supplied us with the base foundation of tubing, wiring and assembly for our 240" swingarm dragsters. I chose the project name "Time Machine" because it not only was like I was going back in time and reliving the experience that happened just 3 short years ago, but because for a few short weeks, it was like time was standing still as we rushed to complete the builds in just a 2 week period! Yes that is correct. 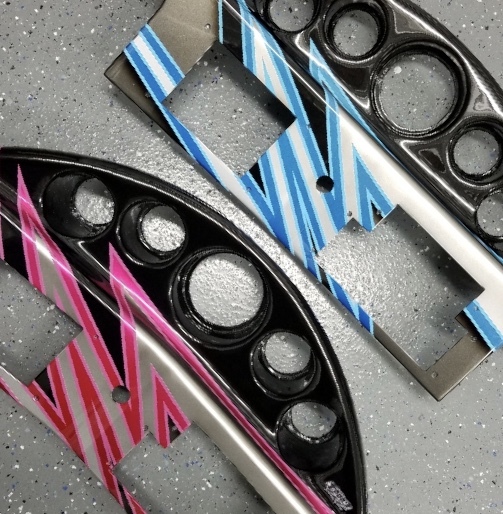 These 2 dragsters went from the powder coating oven to the race track in exactly 14 days! This highly orchestrated plan would allow us to debut them at the Inaugural American Dream Summer Weekend in West Salem, Ohio just a couple hours down the road from where they were built. 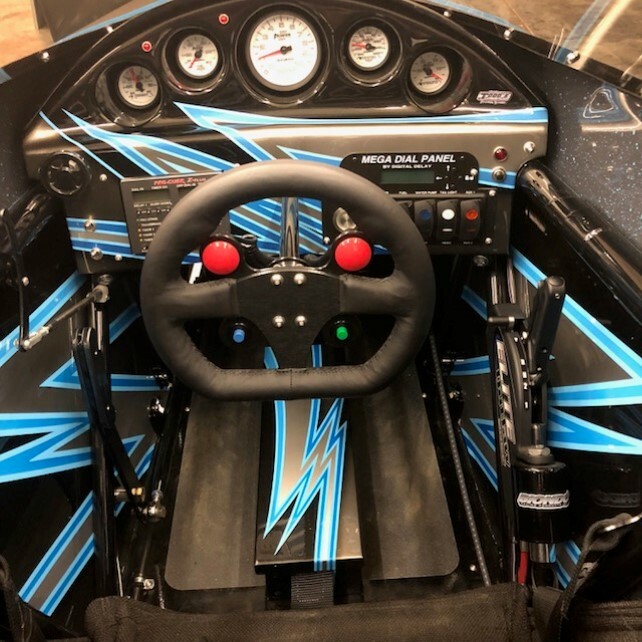 Hang on tight and buckle up as I'll go through the entire build and showcase the dragsters and the products used to complete what I feel are the nicest cars Nicole and I have owned in our 30 plus years of racing. 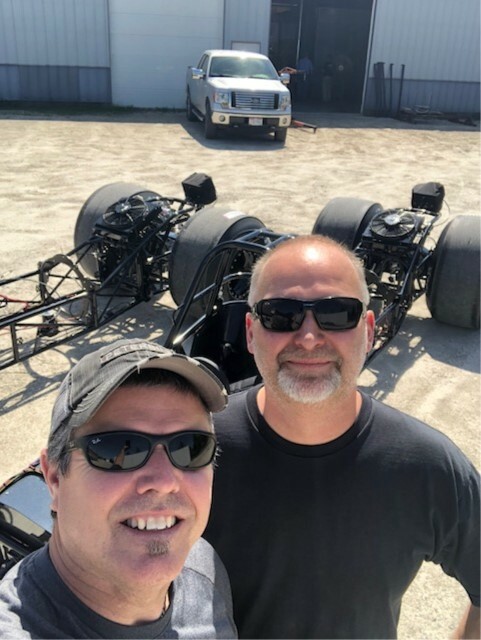 On May 17th I arrived in Ohio to lend a hand to the guys at ARC on the Time Machine Dual Dragster Build. 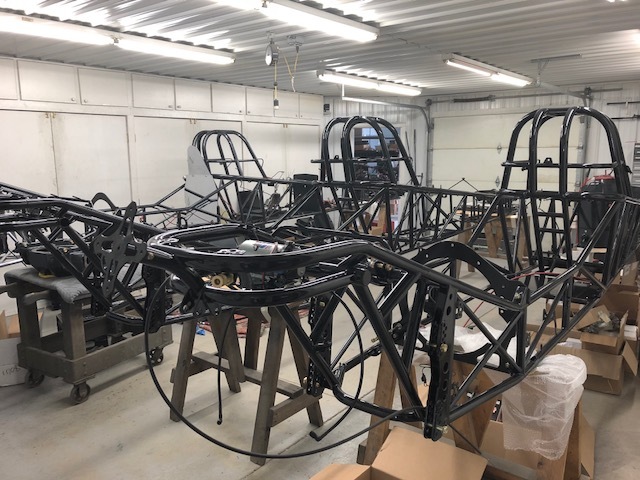 This all started Thursday morning when we removed the 2nd chassis from the powder coat oven at American Precision Powder Coating right next door to ARC. White? Well that is what it looks like before it is baked. This bright white turns to a gloss black when baked at 400 degrees. Crazy process to say the least. Our previous cars were done in matte, so we were very excited to to go gloss this time around. We'll see if the girls and I can keep up with all the finger prints. Once out of the oven, the assembly room got very crowded and the orchestrated process of wiring and bolting parts on went to full throttle part by part. 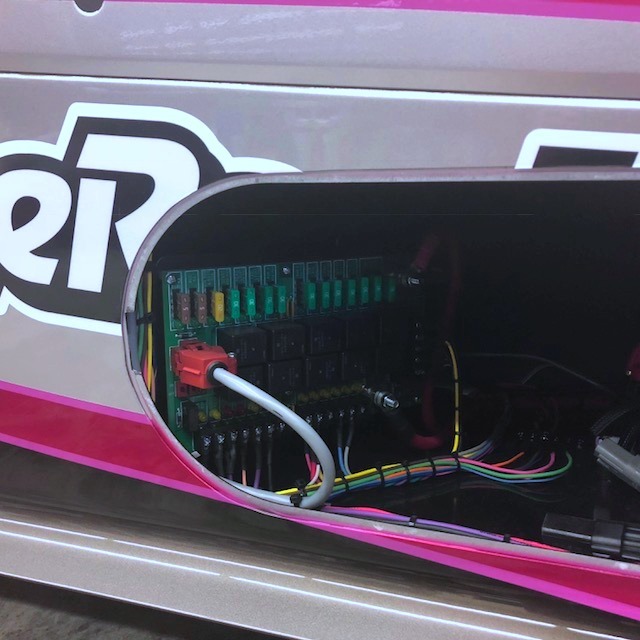 Pulling the bulk of the wiring was first on the list, along with getting the K&R Performance Products air compressor mounted in the mid battery tray. I wouldn't own a car without an on-board air compressor any more. This is such a great tool to keep up on tire pressure in the lanes. 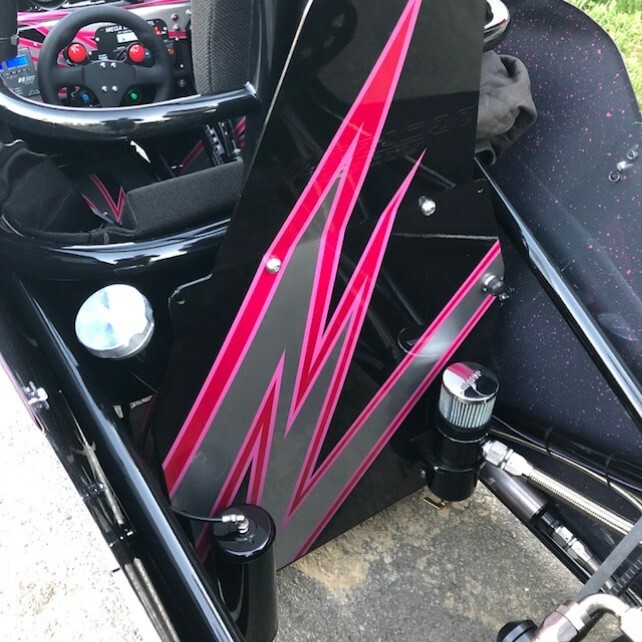 After a week of work we had the chassis ready to head back to Tennessee, the bodies had been delivered to Todd's extreme paint just an hour away and he was laying out the Eddie Hollon designed paint schemes. We new we were in for something special when we got the dashes back from Todd to finish the wiring before we left. One thing I try to focus on when doing these builds is trying to improve on each feature or part from the last build if any way possible. The time we spend at these big events, the cost of entry fees and what is at stake with these large events has pushed us to make our equipment "Reliable, yet Simple", "Flashy, but Practical, and most of all as "Bullet Proof" as possible. That being said, take a look at some of the products we chose to accomplish this. You can click on the company logos to go directly to their websites to look at their products. With all race cars the drive train takes brutal beatings. 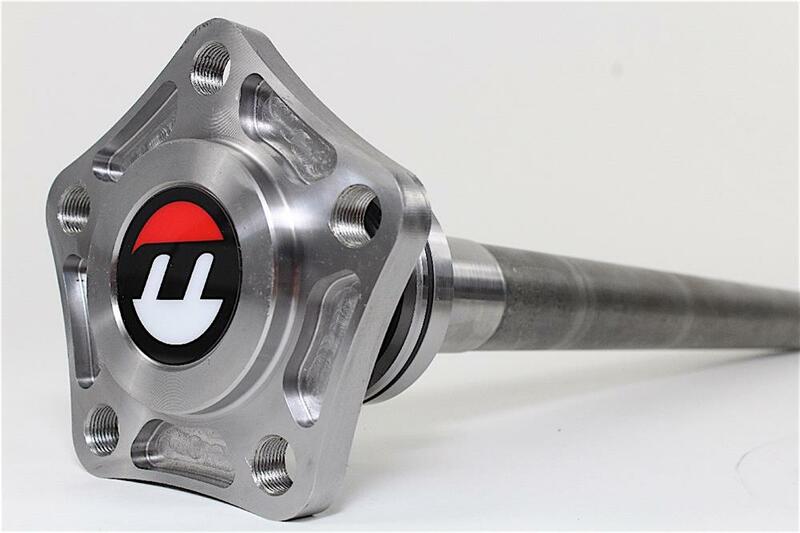 For these products we chose the reliability of Moser Engineering in Portland, Indiana. 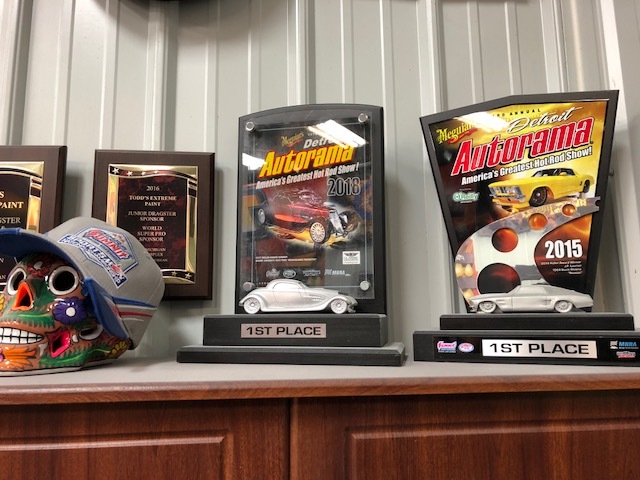 They are located just North East of Indianapolis and support Sportsman Drag Racing as much as any company out there. When putting together our list of upgrades, the Moser Pro Extreme Axles and Stainless Steel Dual Brake Kits were at the top of the list. 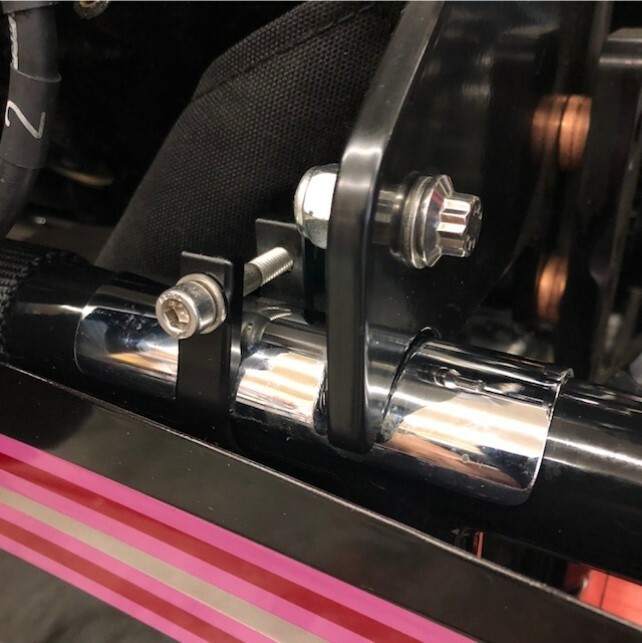 Along with their Bolt Thru Center Section, Chrome Moly Drive Shaft Yoke and 5/8" Axle Drive Studs, we have complete confidence in the parts we chose being able to handle all the power we want to apply to these new dragsters. As many of you know I've been a Hoosier guy since the day they released a drag slick. 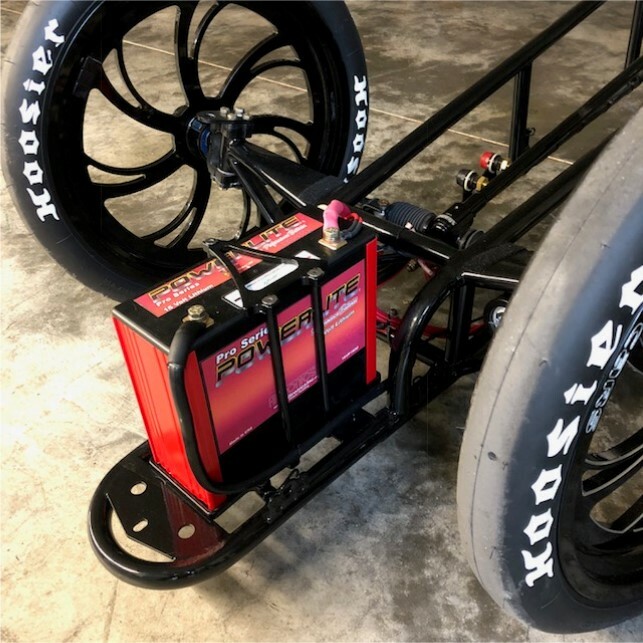 I've been very happy with the 34.5x17x16 on our dragsters for many years. 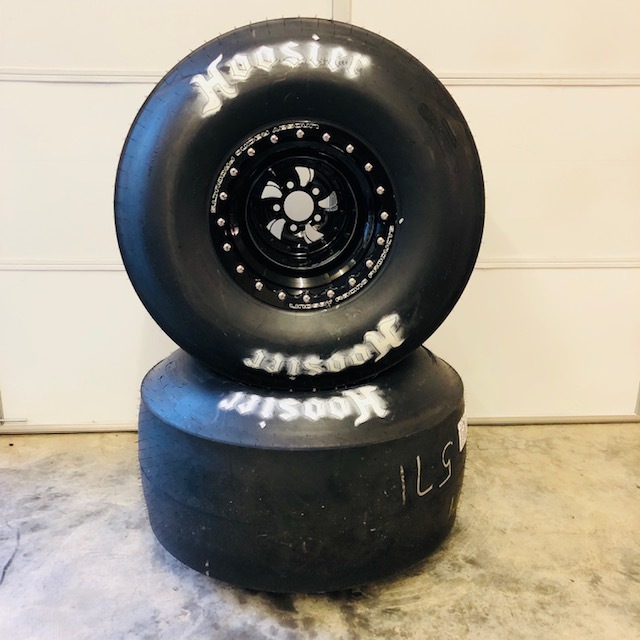 But I have to tell you I'm very excited about this new 14x35x16 Bracket Tire Hoosier has came out with recently. We ran them in a very wide track temp range a few weeks ago in Ohio and couldn't have been happier with how they responded from the first pass throughout the weekend. Back to our upgrade list and it only made sense to put Lindsay Racing Products on our new cars. 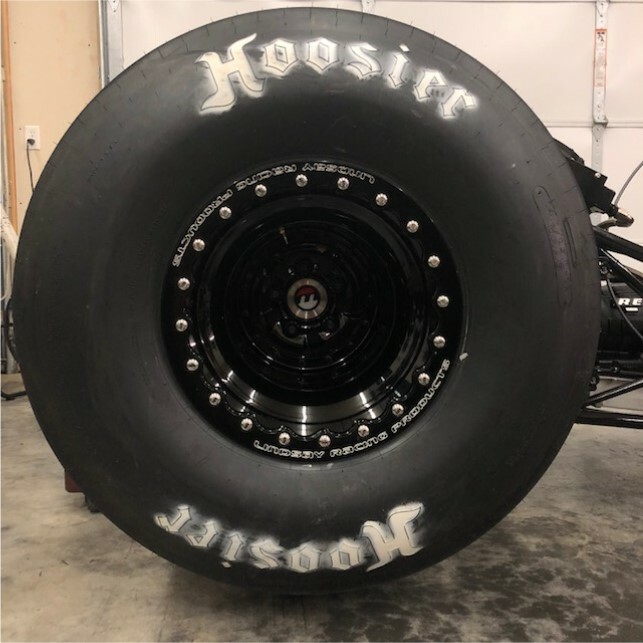 Chris Lindsay is as well in tune with what sportsman drag racers are looking for than any wheel company in the country. 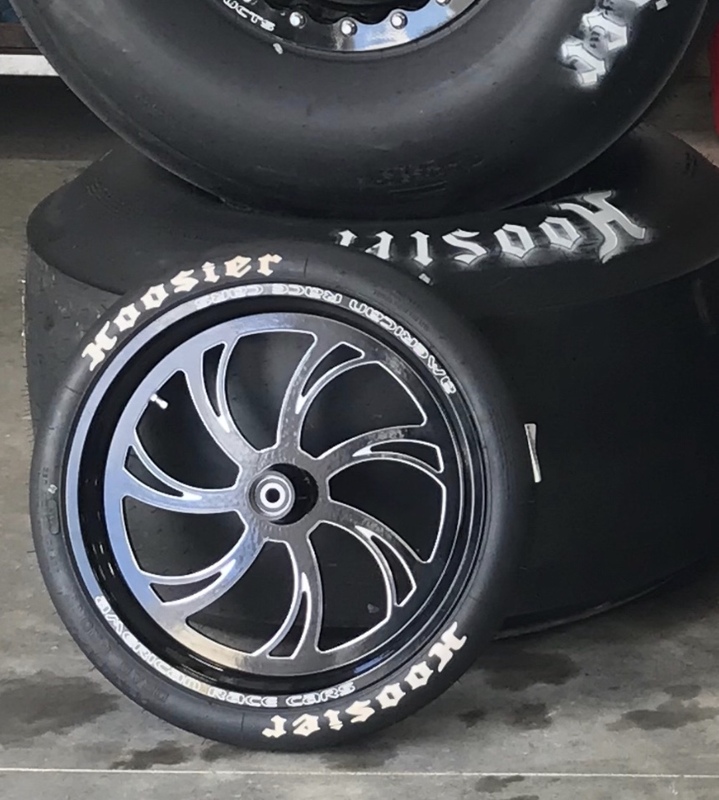 Lindsay offers a great selection of dragster and door car front wheels along with rear non bead lock and bead lock wheels. 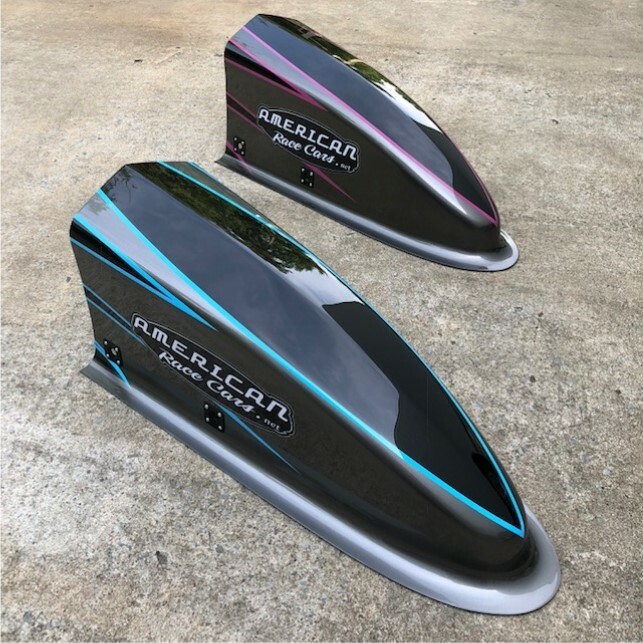 We chose the ARC Signature Series designs for our new cars with a ARP Stainless 12 point Steel Bolt upgrade on the rear bead locks and upgraded to their ceramic bearings for the front. When it came to paint we wanted something a little flashier thaN what we have had in the past. I tend to drift a little to business like and sometimes that holds me back on the flair. We decided to commission Eddie Hollon out of Texas to draw up the designs and then let our good friend and very talented painter Todd Zeller throw it down. We have known Todd since we acquired DRR in 2008 and can't express how proud we are of him and what he has done with his business the past 10 years. We asked a lot of him and his guys over a holiday weekend, but they didn't disappoint, in fact they turned out better than we could even imagine. I new we were asking a lot and I was a little reluctant to ask "how's it going?". 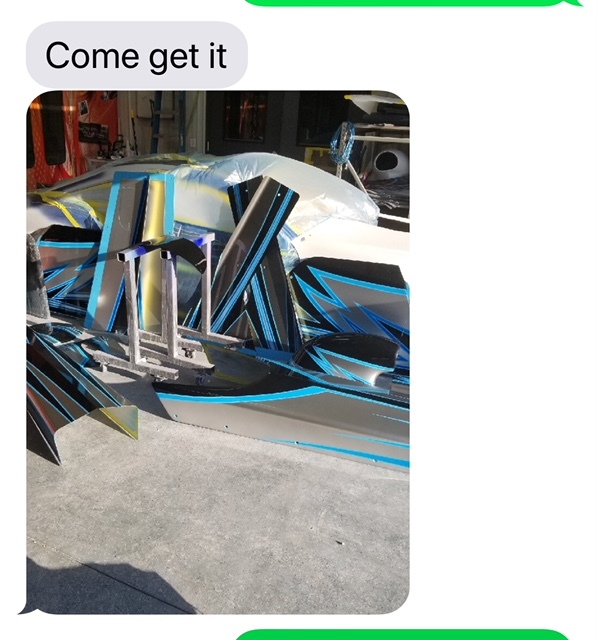 When I got the text a couple days prior to when I was scheduled to arrive at his shop, I new we were going to make it to the debut weekend in just a few short days. Some pretty cool credentials hiding out up at Todd's Extreme Paint. Yup good choice. 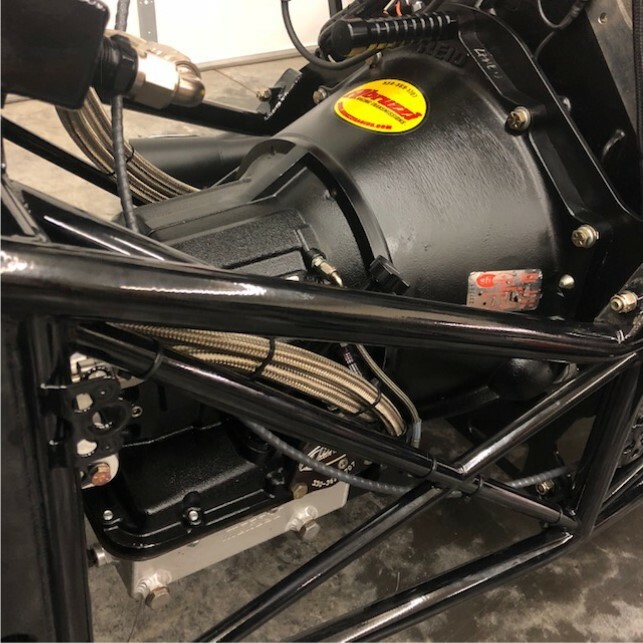 When it came to power for our dragsters, we new the power, quality and reliability that the BRODIX SR20 cylinder heads provided us the past 3 years was something we wanted to stick with so that's exactly what we did. Their CNC cylinder head combination put us right where we want to be at the 150 mph mark in the 1/8th mile without any additional head work. Huntsville Engine & Performance returned for 2018 as a major part of our racing program, Andy and the gang once again providing the 615 SR20 horse power. If you are looking for a shop to personally handle your engine needs, don't hesitate to call Andy Anderson and Huntsville Engine. 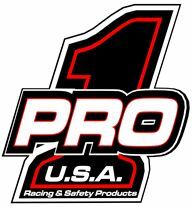 We have been with Steve Schmidt since 2009 and this makes year #10 we have ran one of his engines in our cars. SSRCE is one of the largest performance engine builders in the world, yet he still treats us like family. We can't thank him and his guys enough. 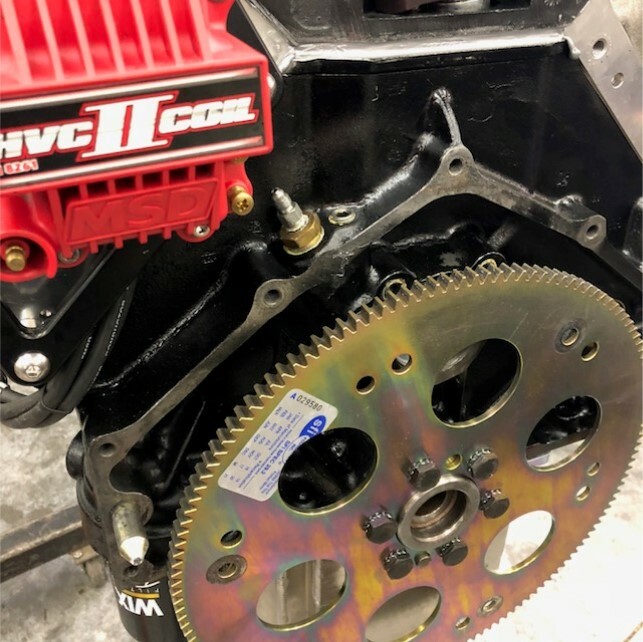 If you are anywhere in the country and need a shop to handle your freshen up or new engine build, give SSRCE at call, they ship all over the world. Not much option to improve in the header department. 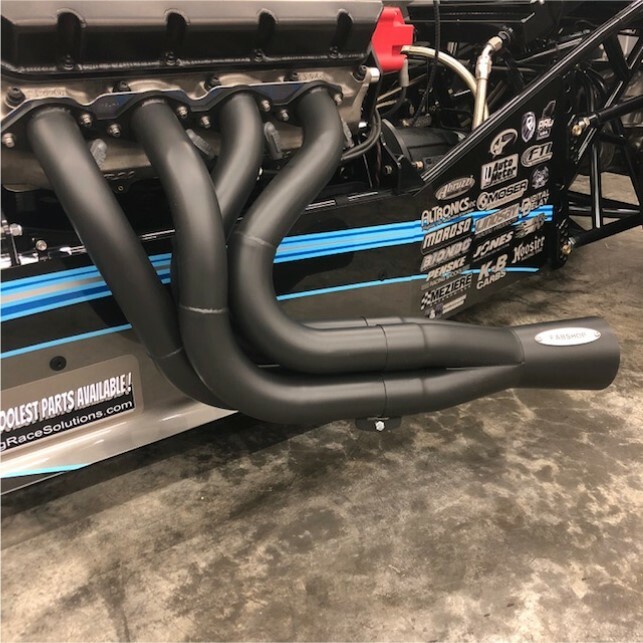 We continue to use Mike's Fab Shop Gen 3 Stainless Steel Dragster Headers with a satin black ceramic coating. We use a 2 1/4" to 2 3/8" step into their merge collectors. These are light weight and will never corrode out. 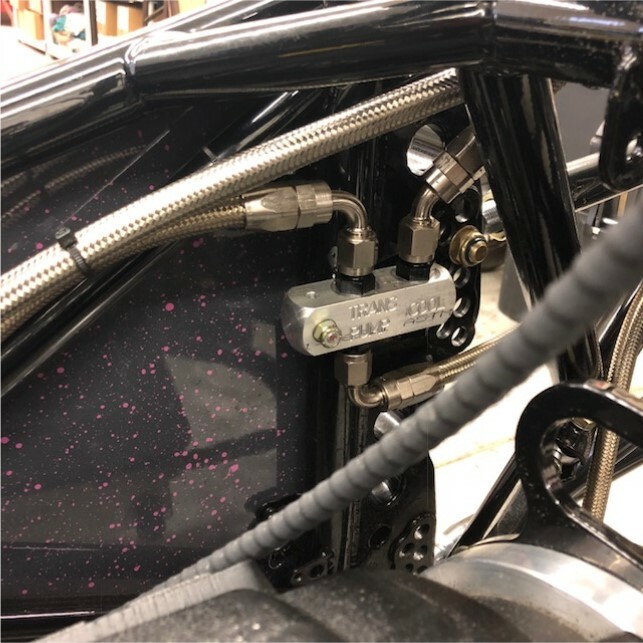 Stainless Steel header bolts are also used along with weld-on Collector Tethers on the back side for an extremely clean look. As I mentioned above, I love having air on-board our cars. Being able to maintain tire pressure in the lanes just becomes simple with the K&R on-board air compressor. Also as the selection for delay boxes we once again returned to the K&R Pro Cube Z-Plus for our choice. I like the option of being able to either "let go" or "push". When it came to a tachometer and gauges we returned with the Auto Meter Phaontom II line of products. I really like the clarity of this line. Left to Right is Vacuum Gauge, Oil Pressure with Low Press Lights, 10,000 RPM Tachometer, Water Pressure Gauge which starts at 100 and the Volt Meter to make sure the 100 amp alternator is working at all times. 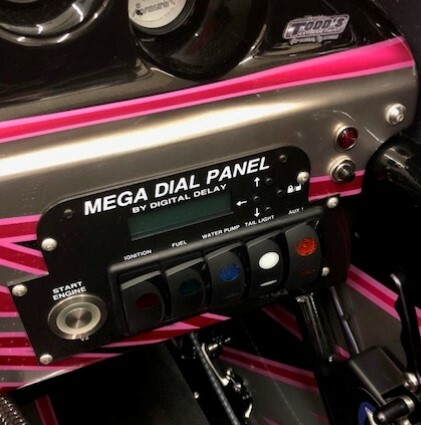 Digital Delay provided the control board for all the electronics on our dragsters along with Megal Dial switch panel and dual sided Digital Dial In Board. 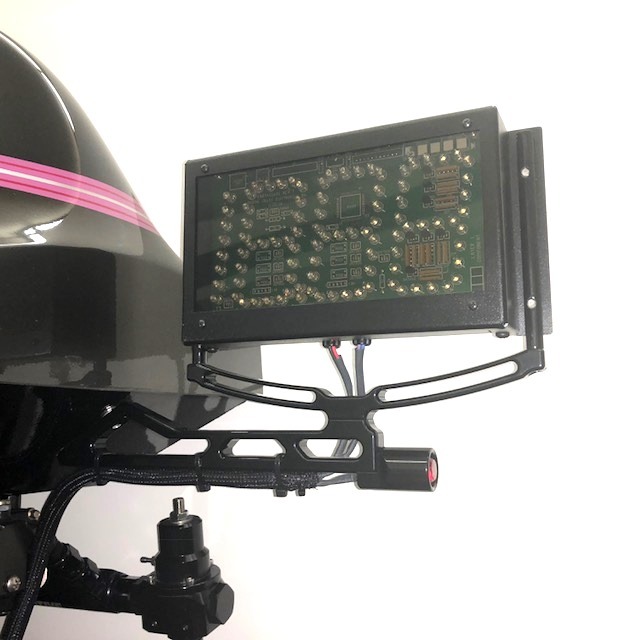 You can see the fuel tank level light and horn button to the right of the panel. This simplicity and quality of their product makes the wiring process much easier these days. A real nice product we came across on our last build was the Jones Transmission Cooling System. 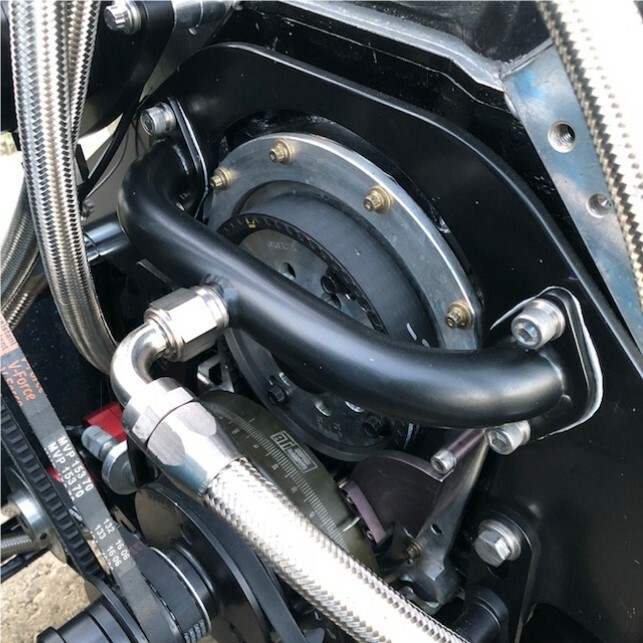 This allows you to circulate the transmission fluid from the converter and pan through the cooler while the car is off while you are cooling it down. This really helps in the late rounds and during double entry racing. We mounted ours under the rear deck cover on a specially fabricated bracket by American Race Cars where the wing normally mounts. The junction block shown to the right bolted to a tab on the chassis. This block is what allows the system to remain in-line while the car is running or not and for the system to function in both circumstances. See the added paint spatter by Todd's on the panel. 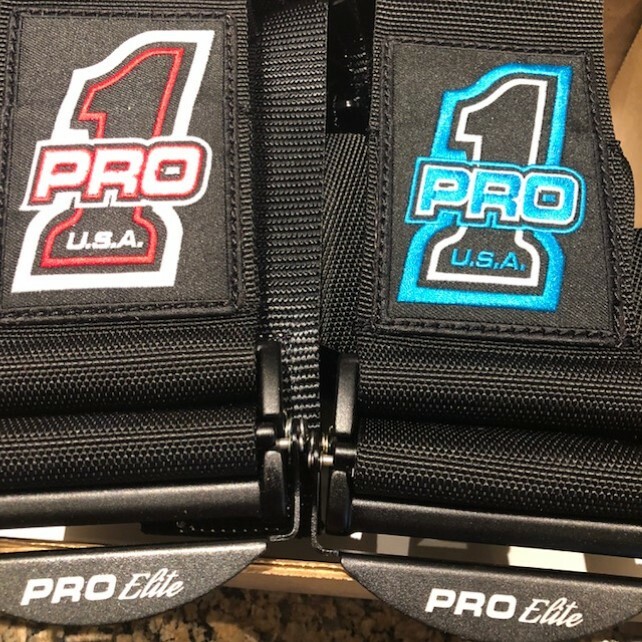 One of the "hottest" new products on the market the past few years has been the seat belts from Pro 1 Racing and Safety Products out of Texas. This is an American Made product with exceptional quality and detail. The customer service comes directly from the owners Jeff & Charlotte Hefler, racers themselves. 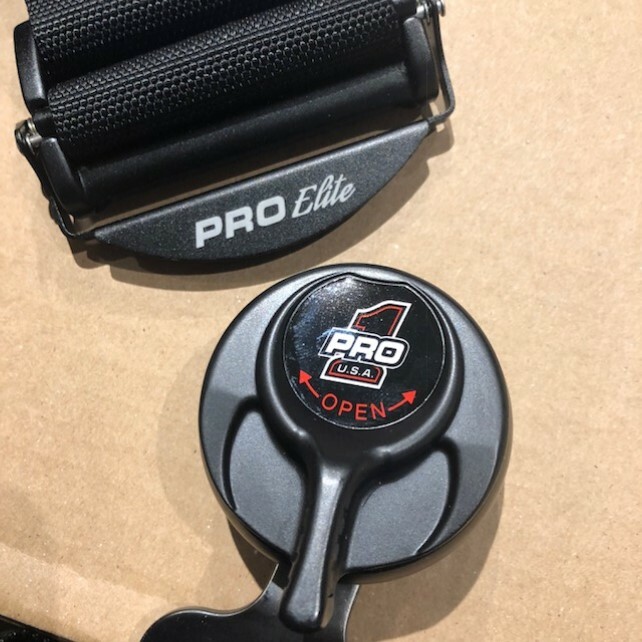 They have standard hardware and the PRO Elite shown here along with a wide range of logo colors to match your race cars. We chose Blue and Red and Cam Loc. We returned again to Altronics, Inc for their 16 volt Powerlite lithium battery. This time we selected their newest version "PRO Series" which has a Battery Management System and comes with a 4 year warranty. Also shown is the billet battery mount which goes right in place of the normal mount and holds the smaller battery with a very clean look. Oh... and it weights in at a whopping 10 lbs and only takes about 15 min to be fully charged. More photos - Really appreciate all the companies that were involved in this build. Anyone who has assembled a race car knows how many little things get forgotten until they are needed. Everyone from TC and the guys at ARC, Huntsville Engine, Steve Schmidt's, Todd Zeller and all the other manufacturers played a huge part in this build. One miss step by any one of them and the 2 week build wouldn't have been possible. If you look at the interior panels shown above on the blue car, you will notice the left and right hand safety panels. These are an additional panel inside of the body for additional safety. Todd laid down colors to match. You can also see the spatter paint on the inside body panels here. 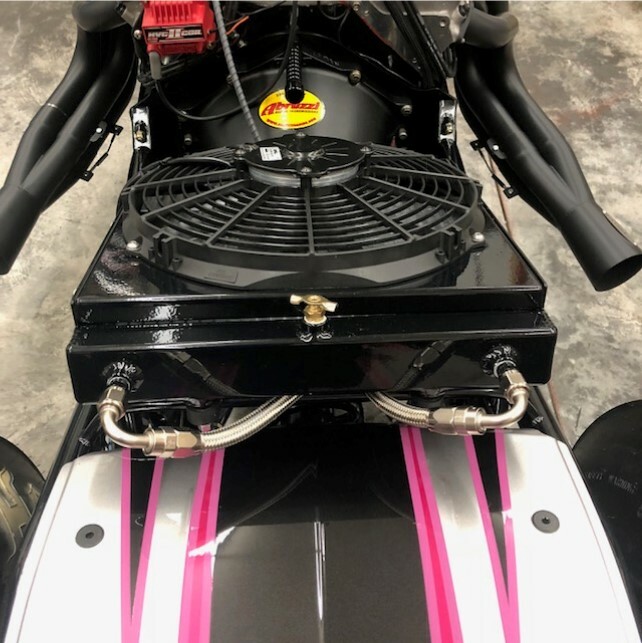 Another upgrade we went with this year was incorporating the transmission cooler into the radiator. This radiator is optional from Davis and I really like the idea when I seen it last year. 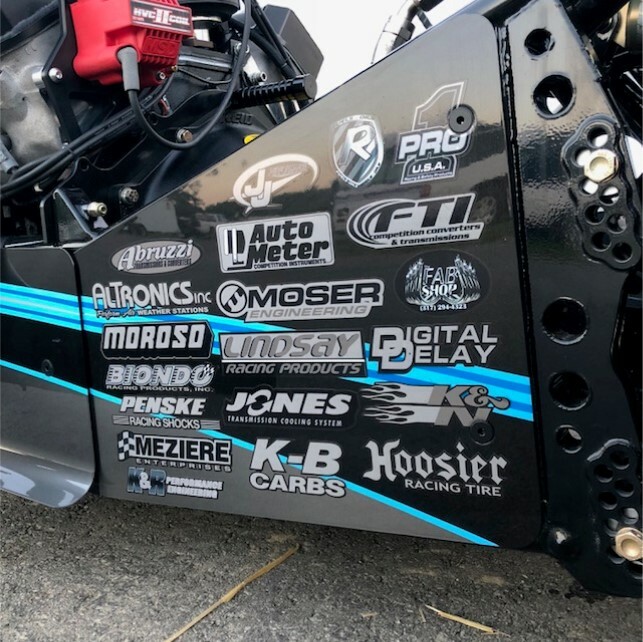 Again a little more thanks to the great companies that support our racing operation at DragRaceResults.com and were heavily involved in the build. Since 2009 we have used Abruzzi Transmissions, so it only made sense we return with the same reliable transmission combination from Abruzzi that we previously ran the last 3 years. 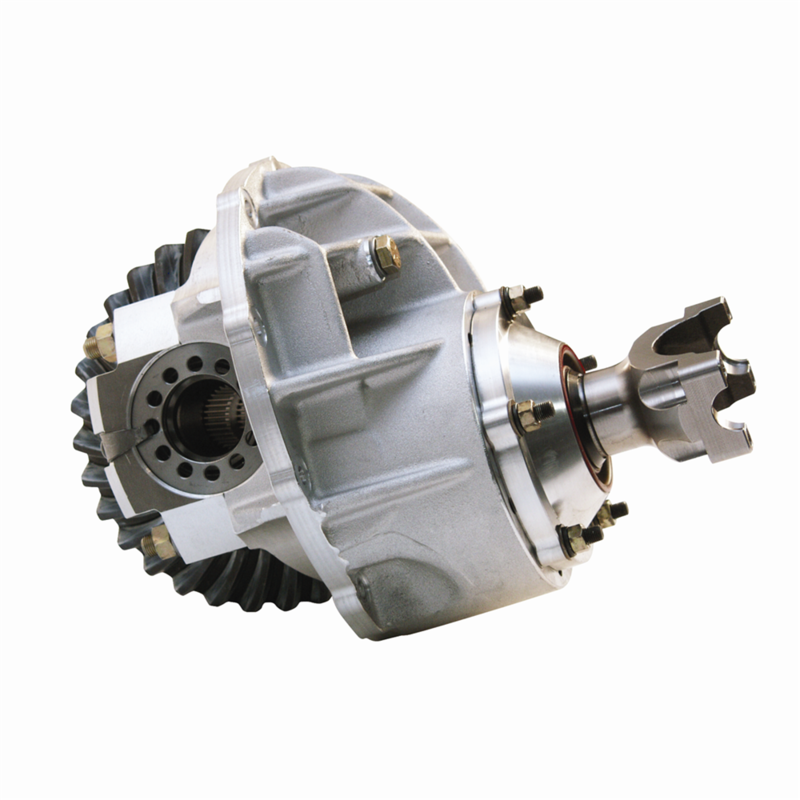 These transmissions use 1.64 low gear sets, enclosed by a REID 2 piece transmission case with MOROSO aluminum fabricated pans. Powder Coated matte black of course. 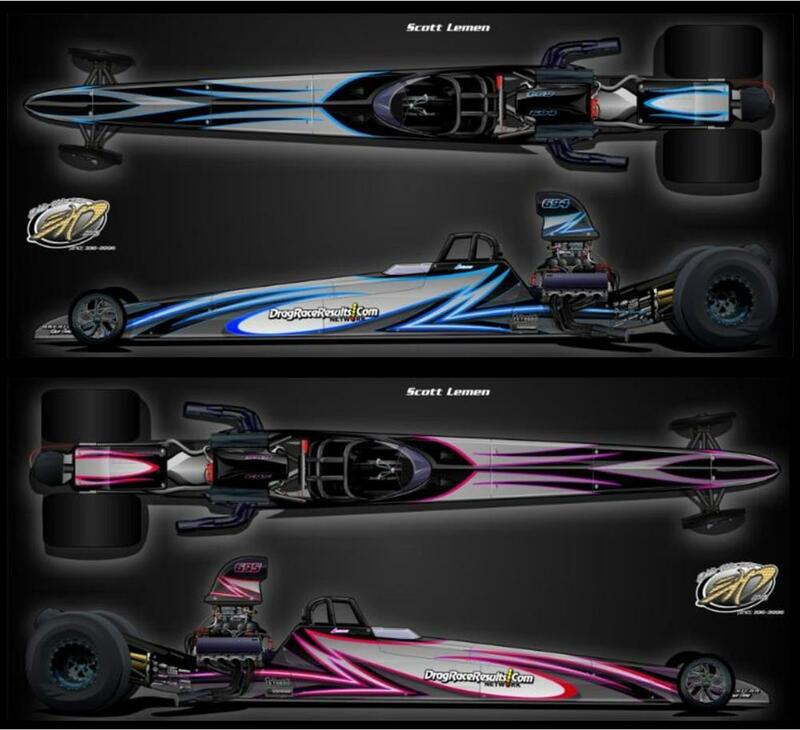 Our product line of Drag Race Solutions continues to grow and are showcased on these cars. 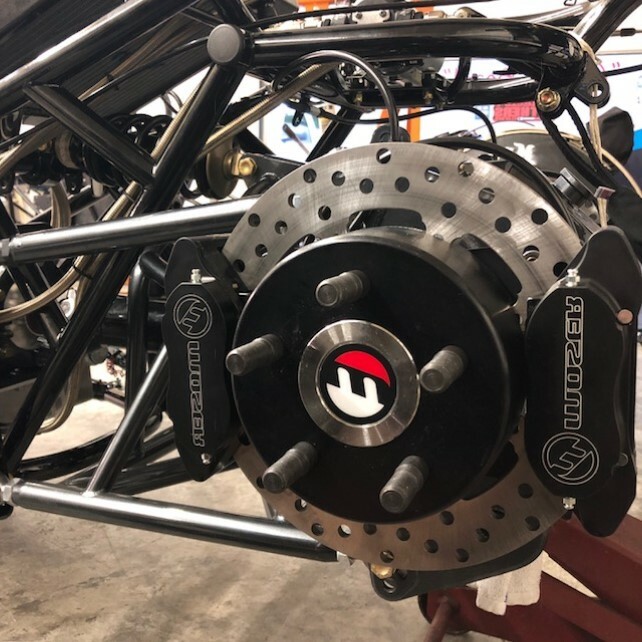 We used our Matte Black Hex Head Dzus fasteners and Billet 12 point lug nuts on them along with the products shown below. Our Billet Water Filler Neck shown with the Meziere safetycap, our Stainless Steel crossover tube. 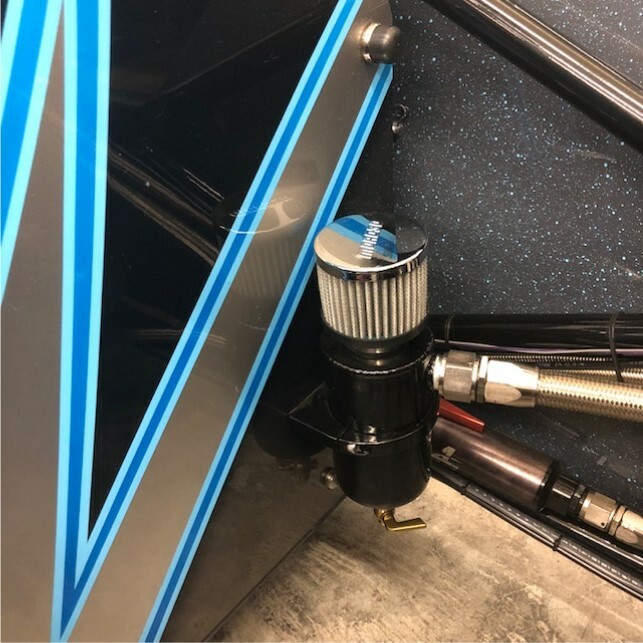 Our billet 5 Blade Vacuum Pump pulley and a pair of Dial In Board Brackets with our optional Billet Tail Lights attached. 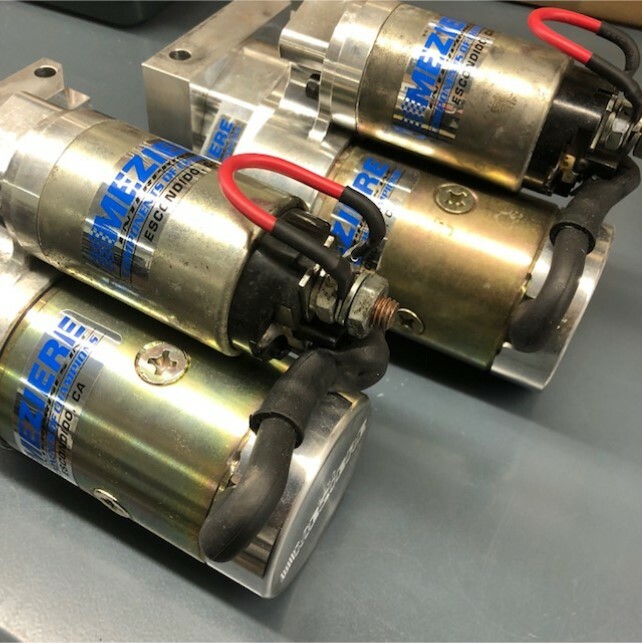 Some racers don't want you to know what products they use, especially when it comes to the torque converters and the particulars. Well I can tell you these cars currently have 8" FTI in them and the one on the box also is an identical one for in the trailer as a spare. 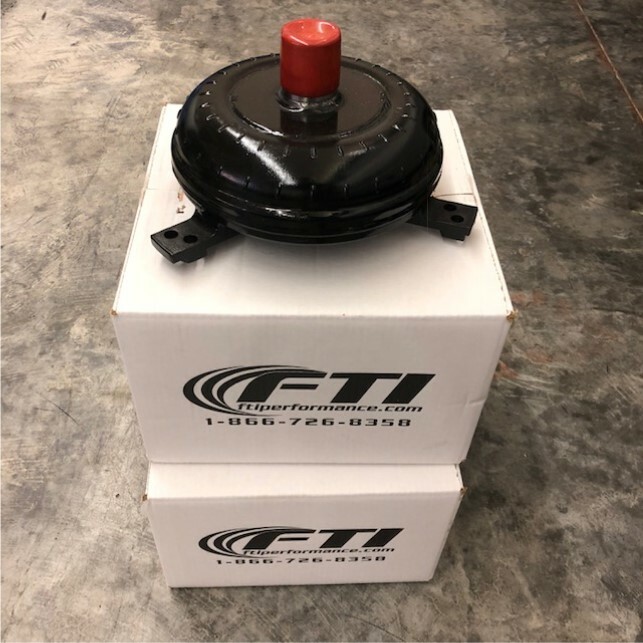 Greg and the guys at FTI have been involved with our racing program since 2013 and we're happy they are. 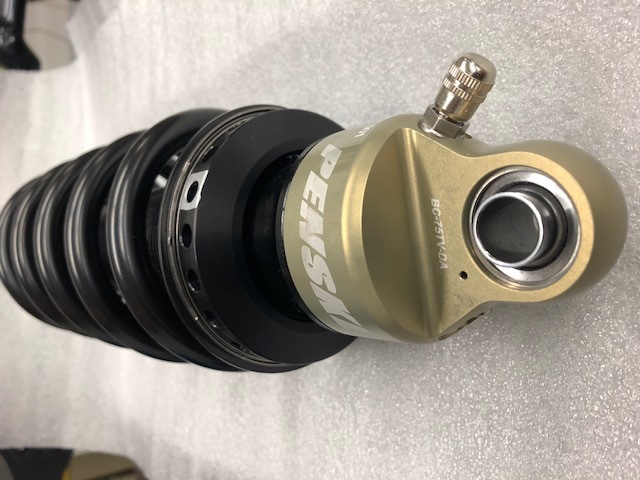 Back to the upgrade list on shocks and we didn't think we could improve on what we had before, but after a phone call to Eric Davis at Penske that wasn't the case. Yup we previously used Penske since 2013 on our previous 4 cars but things change. Eric pointed out he has used this new spring on a few cars and was seeing good results... besides it's matte black! On a serious note it's a 10" Barrel Spring from Swift and I'm already liking it. Think "stored energy". Air filters are always a challenge on dragsters but also a must in my book. 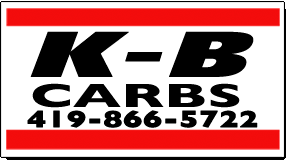 This year life just got easy as K&N Filters came out with a standard part number that is available at your favorite performance retailer! 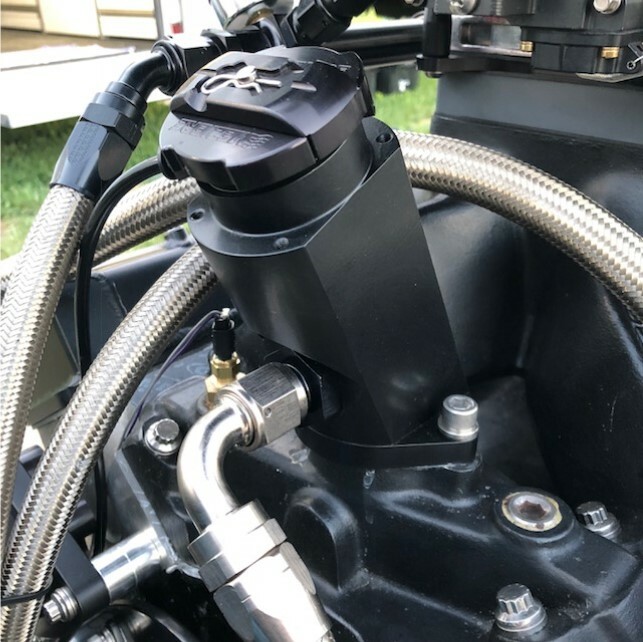 It comes with the velocity stack that the tapered filter sits on to fit the scoop tray along with the Xtreme top filter and stud. Life is simple! Back to more upgrades. 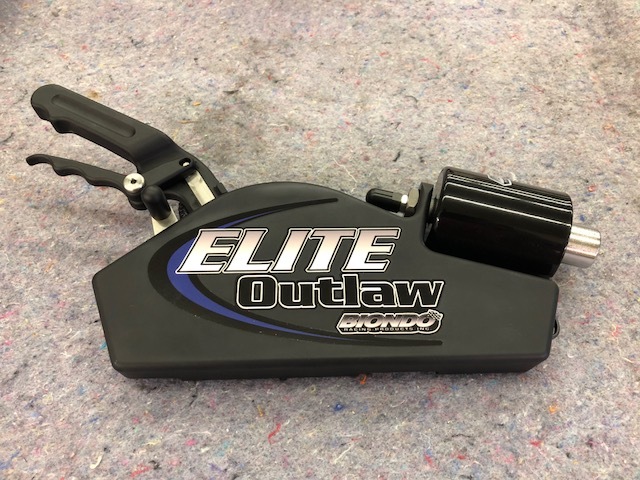 Biondo Racing took the shifter to the next level with the Elite Outlaw shifter. This is the smoothest shifter I have ever used and it's purpose built for a race car. If you are looking to upgrade or building a new car in the future, don't hesitate to get you one of these. They also are available with a longer cable for dragsters. Besides this shifter, we also looked to Biondo for their Leather wrapped Alpha D steering wheels and Red Mush-o buttons. When it comes to high quality and reliability, nobody focuses on it more than Meziere. We run their starters and flex plates and this year added their safetycap radiator cap. The brothers out in California know racing products and we trust them when it comes to our cars getting started. 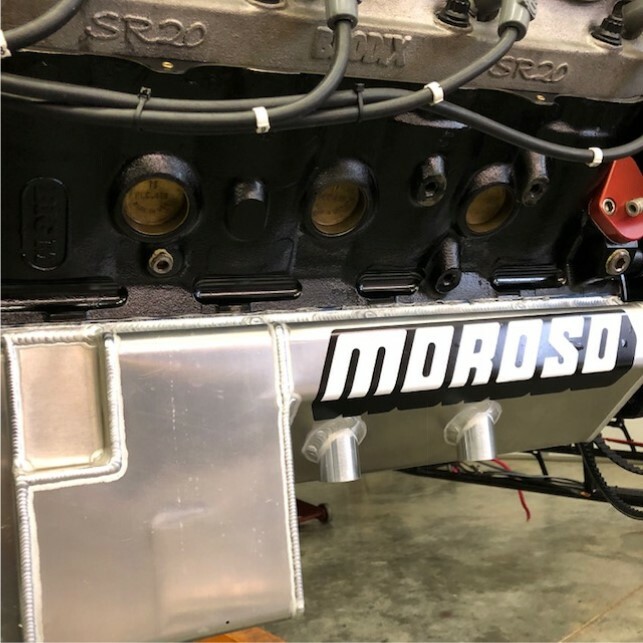 MOROSO is a big part of our program. We know we can count on their product quality on anything we put on the car. 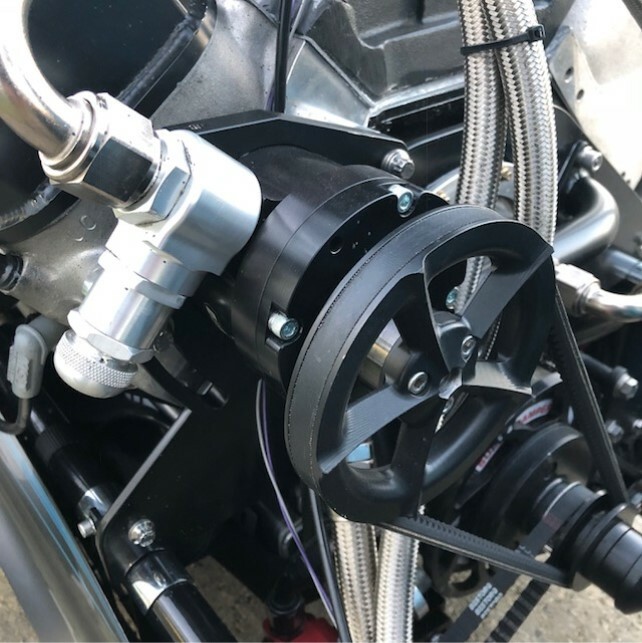 Besides their Oil Pan and Oil Pump, we also use their Vacuum Pumps, Transmission pan and this cool vacuum pump evacuation canister and billet mounting bracket. 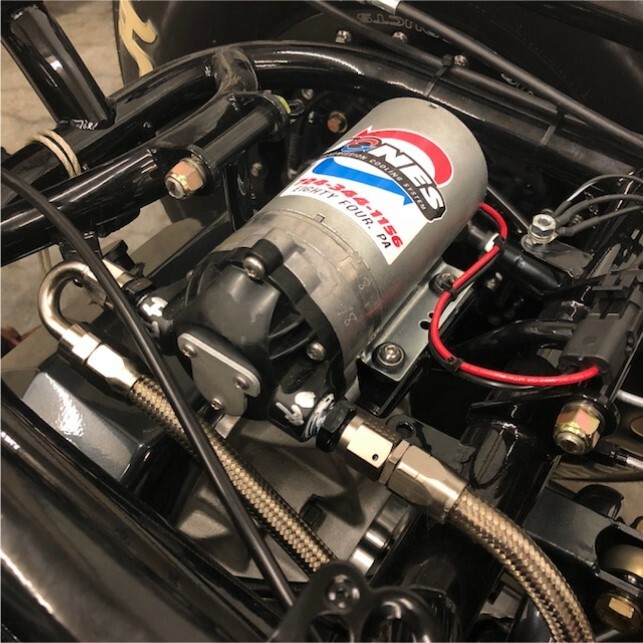 Like in our previous build, our choice for fuel management comes from a K-B Carb from Karsten Blume up in Ohio. 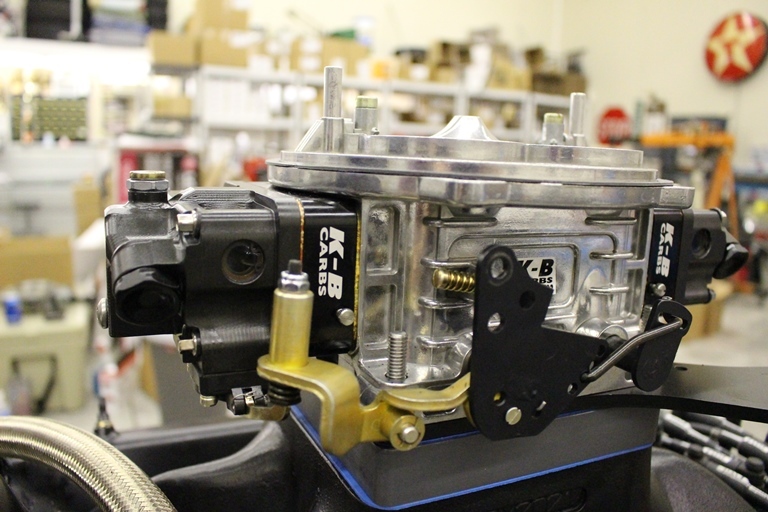 These 1250 cfm gas carbs feature APD Billet Float Bowls to handle all the Renegade Racing Fuel that we use. We are firm believers in engine diapers on all race cars. This not only keeps us safe but our fellow racers also in case we have an issue that isn't caught in time for the next racer coming down the track. Our choice in this department are the J&J Performance Ballistic Diapers that Joe West makes up in Ohio. Safety first! 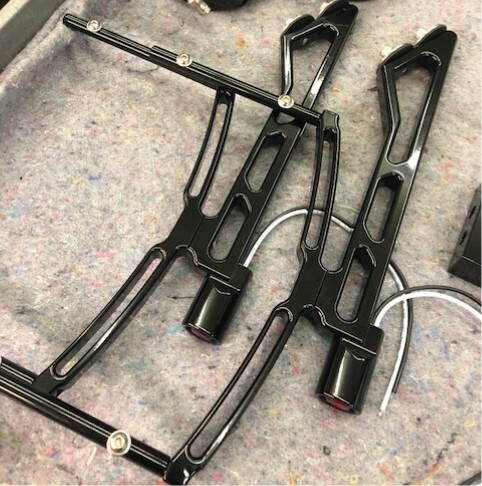 Some more cool parts that we have sourced recently are shown below. 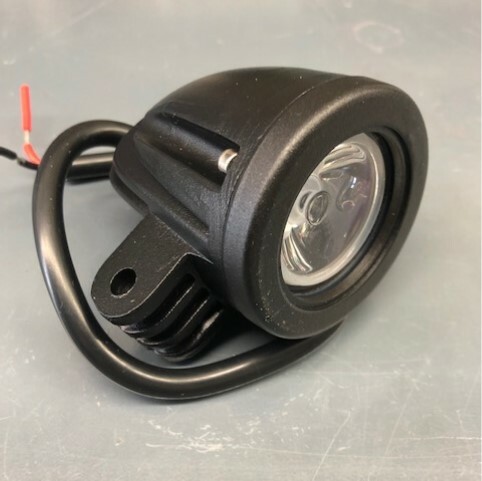 These Billet LED Headlights seem to work very well and I'm excited to see their durability to the old halogen bulbs. Also these Billet Saddle clamps are really cool and will soon be available at Drag Race Solutions. 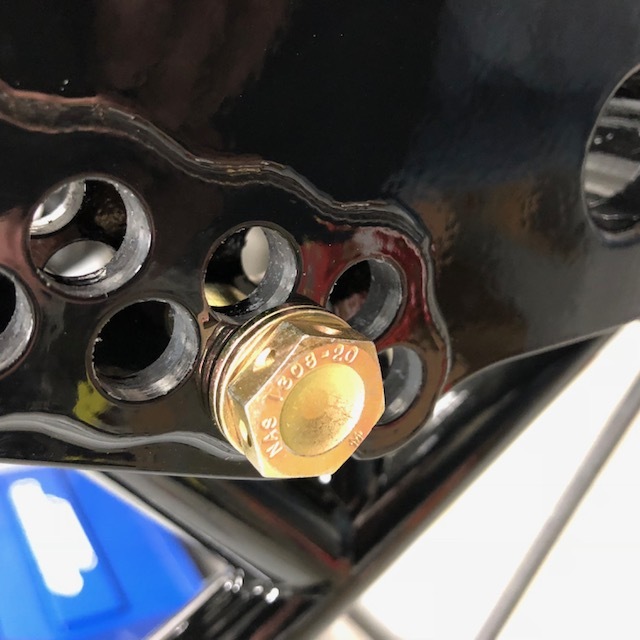 No more pain in the rear t-bolt clamps to try to get loose. One thing I really like about our last cars is that they had a hand brake. Same thing this go round except we added a little color with Misty Lava to the grips along with the swing arms. If you look closely and you will find other Misty Lava coated parts on these dragsters. 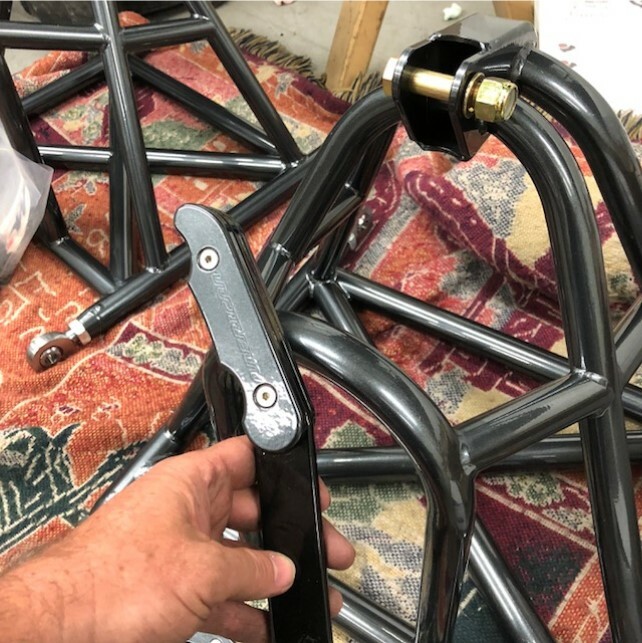 Bobby Dye at Specialty Fasteners out in California also hooked us up with shouldered air craft bolts for the swing arm, upper 4-link bars and shock mounts. Just a little added safety. Well I know this has drawn out and maybe seems more like a commercial at times, but it truly was a team effort from a lot of people who deserved credit including my family which helped tremendously covering for me during the build with our every day businesses. Remember if you are interested in any of the listed companies products, just click on their logo in the story. If you made it this far in the article you should know I made it back up to Todd's Extreme on Wednesday night the 30th of May around 1:30 am after a 10 hour trip North to Michigan from Nashville. We started assembling the bodies on the cars about 8 am Thursday morning and finished up that afternoon. 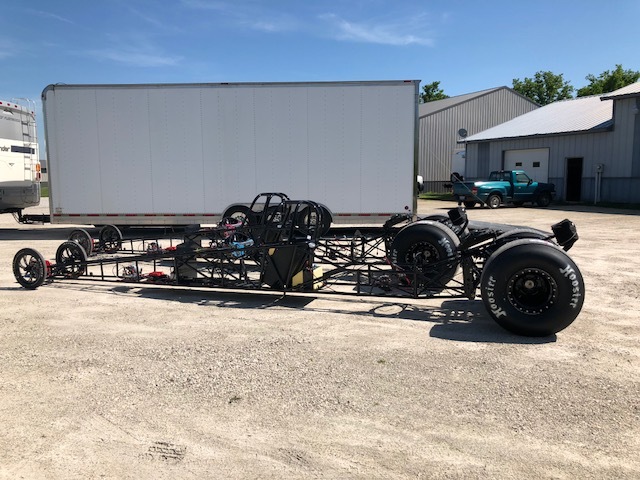 A short 3 hour drive over to Dragway 42 in West Salem, Ohio to the American Dream Summer Weekend only 2 short weeks after starting the assembly. The first pass down the race track showcased a .010 lamp, 4.66 ET at 149 mph. Got a lot of things ironed out on the new whips. Went a few rounds with both cars. Was happy to get home and enjoy a few weeks of getting caught up and relaxing. Thank you again to everyone involved. Please stop by and say "hey" at the races!